Bowser Jr. and Waluigi feel the heat, while Toad and Toadette receive buffs. 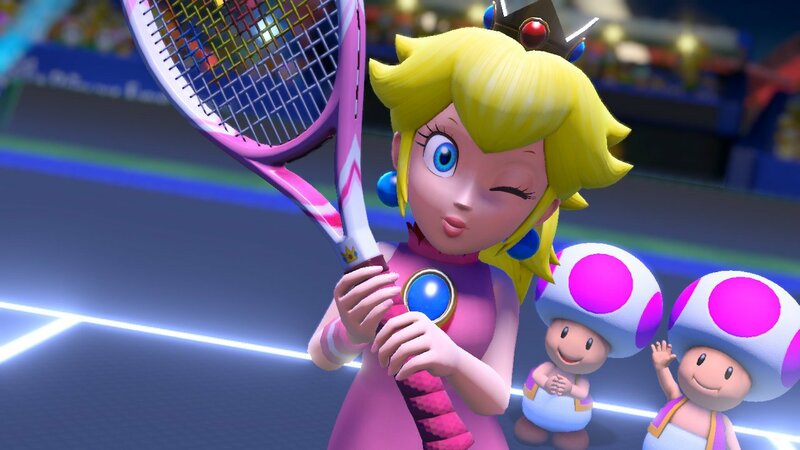 Mario Tennis Aces has just had it's second big balance patch drop in the form of the 1.2.0 update, and a number of characters have had a pretty hefty rework. Anyone who's joined an online tournament or spent a moment on the Mario Tennis Aces subreddit will be well aware just how powerful Bowser Jr. and his nefarious pal Waluigi proved to be in the release version of the game. The charactersquickly flooded the online tournaments to the point that players were intentionally dropping out of matches against them. Even with a minor nerf already deployed for the mini Koopa, Nintendo acknowledged there was more to be done and has finally brought out the nerf hammer. Both Bowser Jr. and Waluigi have had their sideways Trick Shot ranges reduced, as well as shortening their lunge distances and general range. Bowser Jr. has also taken a hit to his return speed and shot positioning, while Waluigi's overall speed has been reduced. On the other end of the spectrum, both Toad and Toadette have received buffs which should help the tiny characters compete with Aces' powerful roster. Read on below for the full patch notes. We have increased the minimum energy level used for a Zone Shot serve from 25% to 30%. 33% energy is still needed in order to trigger the shot. 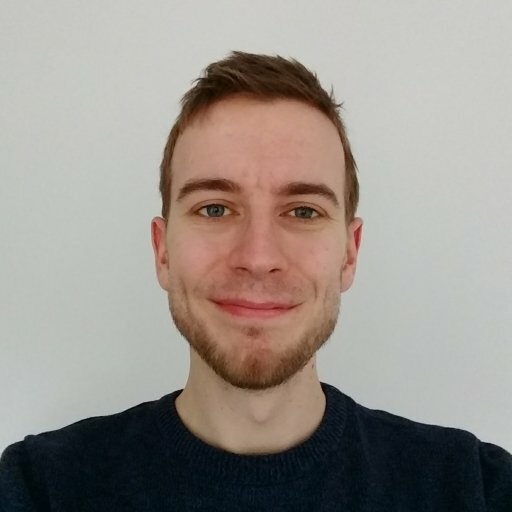 We have shortened the distance a character is pushed back when returning a shot that pushes the opponent to the back of the court, such as a Max Charge Shot. The player can reduce the impact of being pushed back by returning a Topspin and Lob with a Slice, a Slice with a Topspin, and a Flat with a Flat (this was always in the game, Nintendo is simply reminding players). We have adjusted the way the ball bounces back when hitting the center mast on the Savage Sea court. Slightly increased the distance at which he can return the ball without lunging. Shortened the amount of time he is stationary after lunging at a ball. Increased the height he can return a ball. Slightly increased the speed at which Toad can reach his highest movement speed. Slightly increased the distance at which she can return the ball without lunging. Shortened the amount of time she is stationary after lunging at a ball. Increased the height she can return a ball. Slightly increased the speed of her volley shot. Increased the distance at which he can return the ball without lunging. Slightly increased the speed of his volley shot. Slightly shortened the distance he can return a ball using a sideways Trick Shot. Slightly decreased the distance at which he can return the ball without lunging. Slightly shortened the distance he can lunge to hit a ball. Slightly decreased the height of balls he can return. Decreased his ability to aim for the edges of the sideline. Slowed down the speed of balls he returns. Slightly decreased the speed at which he can reach his highest movement speed. Slightly decreased the top speed at which he moves. Slightly decreased the speed of his volley shot. Greatly shortened distance he can lunge to hit a ball. Slightly decreased the height of balls she can hit back. Slightly decreased the height of balls he can hit back. Your rating will no longer go up when you lose a match. If the software is forcibly closed during a match, your number of losses will increase, and your rating will go down by 0.5%. If multiple intentional disconnections are detected, they may not be reflected in your ranking. Starting with the August 2018 tournament, the ability to sort by rating will be added to the ranking board. Along with this, the ranking board for total accumulated points will no longer display rating. You will be able to check your own rating for the month of July by looking at Results on the left-hand side of the tournament display. Note: If you did not play the previous month, or if any irregular data is discovered, your rating will be reset to 2,000. 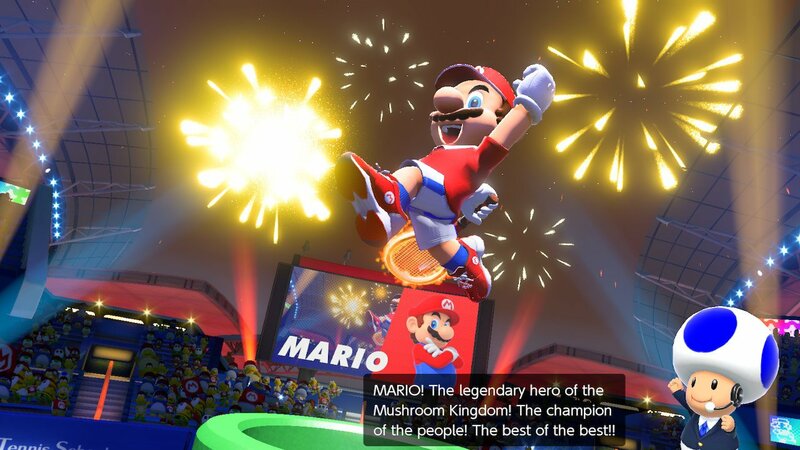 Those are all the big changes to have arrived in the 1.2.0 patch, but as mentioned you can read the full bug fix list and details over on the Mario Tennis Aces Nintendo support page. We'll be testing out the new changes to the game before updating our Mario Tennis Aces Tier List to match, so be sure to check back with AllGamers regularly for more news on the game.